You are currently browsing the tag archive for the ‘saltwater’ tag. This amazing looking fish is a gafftopsail catfish (Bagre marinus). 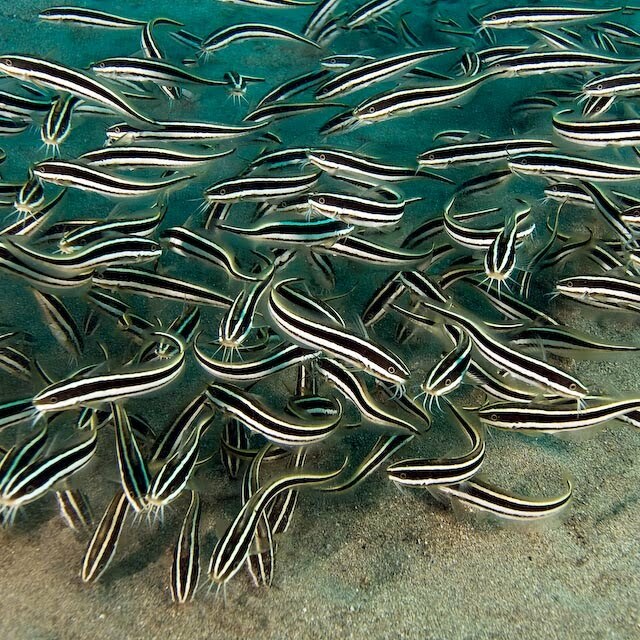 It is an Atlantic Ocean catfish which lives in coastal waters off of North America from the Caribbean up through the Gulf of Mexico north to the mouth of the Hudson. 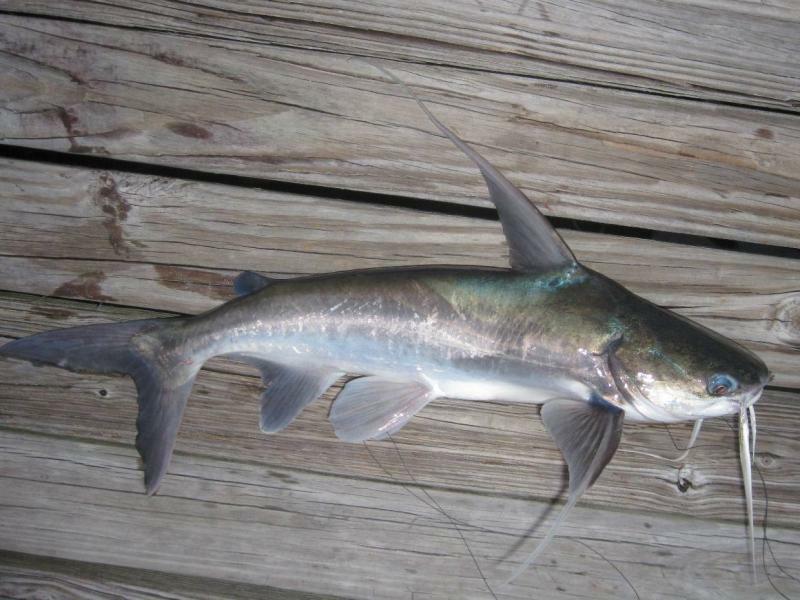 As you might guess from its intimidating Fu Manchu mustache and barbed flavor savor, the gafftopsail catfish is a formidable predator which eats crustaceans and smaller fish. The fish has a sinister forked tail, a wavelike hump, and a jaunty dorsal spine looks like a sail (and gives the fish its common name). 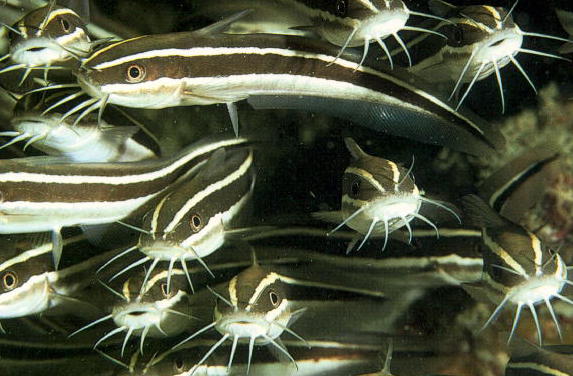 Additionally like most saltwater catfish, the gafftopsail catfish has several venomous, serrated spines. The largest gafftopsail catfish ever caught weighed an impressive 4.5 kg (10 pounds), but generally the fish are much smaller. They usually measure about 43 cm (17 inches) in length. 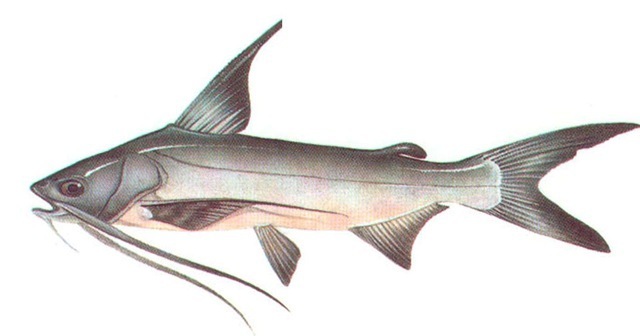 Male gafftopsail catfish are solicitous fathers. 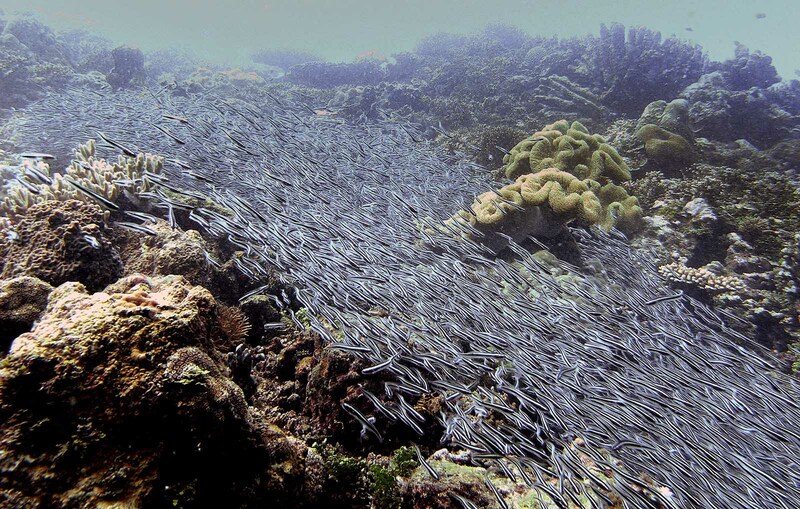 When the female lays her eggs, the male fertilizes them and collects them in his mouth. He carefully protects the eggs until they have hatched, and thereafter his young take shelter from predators inside his mouth until they are old enough to set out on their own.